I mention every so often that apple pie is probably the favorite thing of both my dad and my husband. This apple cake now rates right up there, too. This cake is easy to put together. The most time-consuming thing is peeling and chopping the apples. 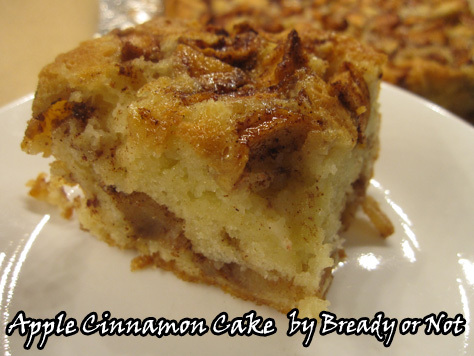 The cake bakes up dense, soft, and full of cinnamon and apple flavor. One of the great things about this recipe is that it’s easy to parcel out leftovers–if you have any. Cut the cake into pieces, freeze each separately, wrap in waxed paper, and place in freezer bags or plastic containers. Thaw pieces in fridge, and eat them cold or warm up in the microwave or oven (the latter being the family preference). This apple cake is great whenever. Serve it for breakfast, snack, or dessert. It’ll make your belly happy any time of day. 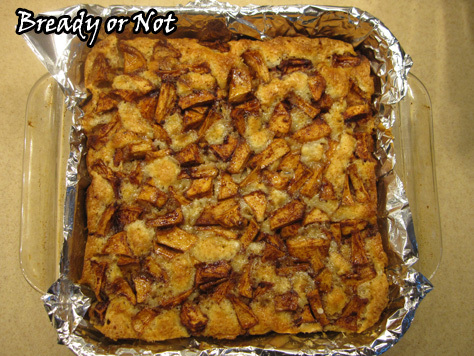 Modified from Apple Squares at Julia’s Album. 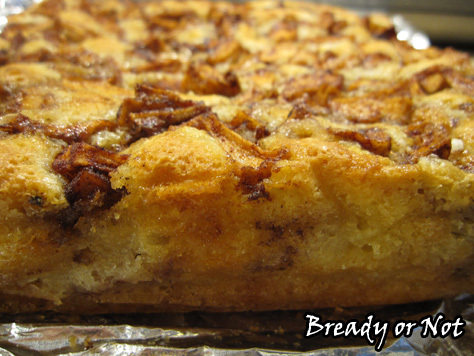 These dense, luscious apple cake squares are perfect for breakfast, brunch, snack or dessert! Use firm baking apples like Granny Smith. Leftovers can be frozen in pieces, and once thawed, can be eaten straight from the fridge or heated in the microwave or oven. Preheat oven to 350-degrees. 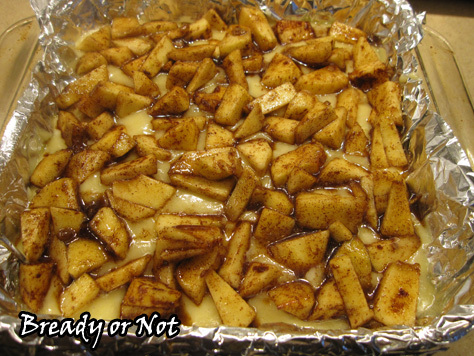 Line a 9×9 square pan with foil and apply butter or nonstick spray. 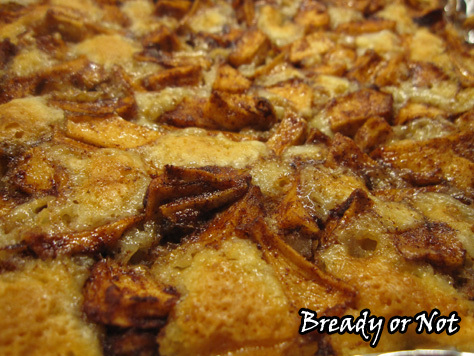 In a medium bowl, toss peeled and chopped apples with cinnamon and brown sugar. In a larger mixing bowl, whisk together the white sugar, vegetable oil, sour cream/yogurt, and vanilla extract until it's smooth. Add the eggs. Add the dry ingredients into the wet ingredients until everything is just mixed. Pour half the batter into the ready pan. Sprinkle half the apples evenly over the top. Pour the remaining batter, smooth it out, then add the remaining apples. Bake for about an hour. It will pass the toothpick test when done. Cool completely and store covered in the fridge.